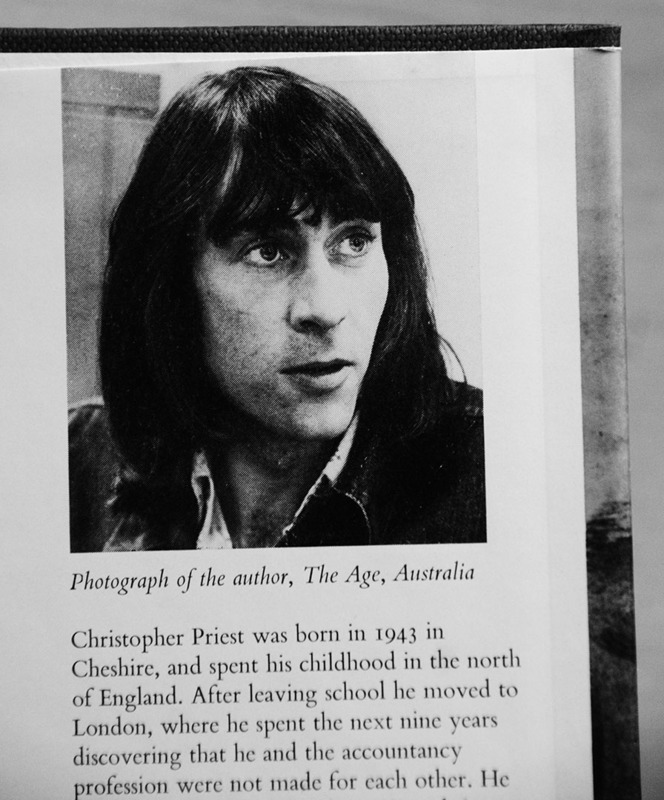 “Christopher Priest’s 1977 novel A Dream of Wessex came to this author’s consciousness via a trail of cultural breadcrumbs dropped by Rob Young in his book Electric Eden (2010), which explores interconnected and underlying lines of folk and rural orientated British music and culture and how it has been handed down and transformed by successive generations. 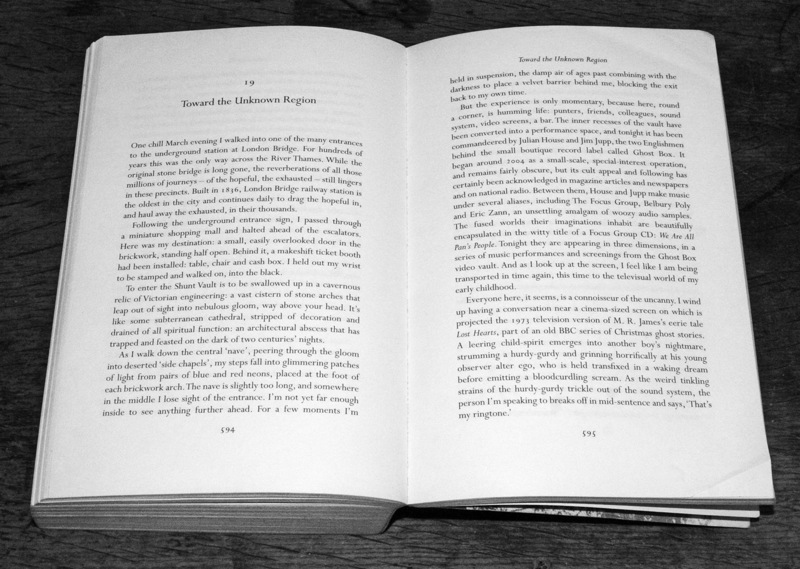 “…one of the main strands of the book involves time-travelling ability developed by participants whose minds have been electronically pooled but which is nearer to a visualisation via technological dream projection equipment. 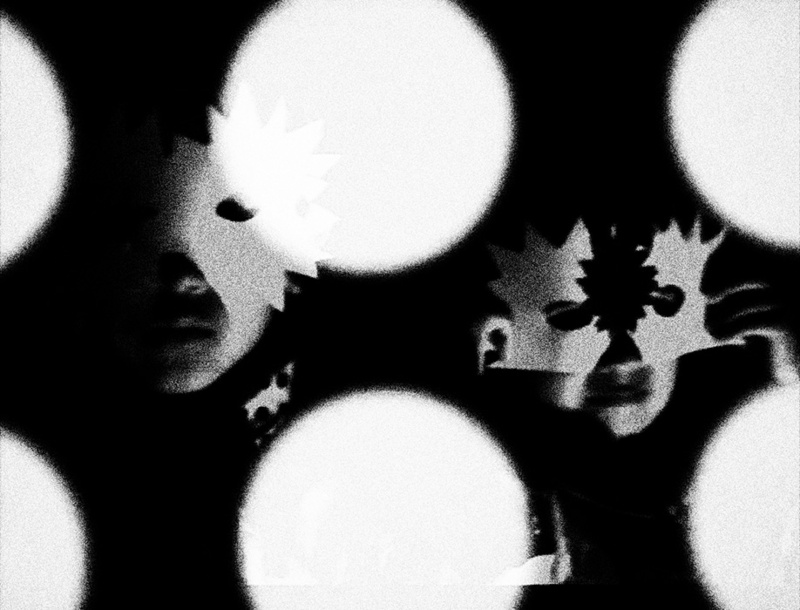 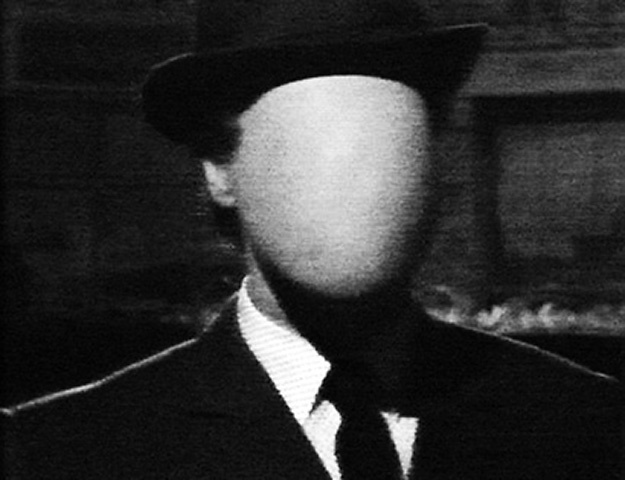 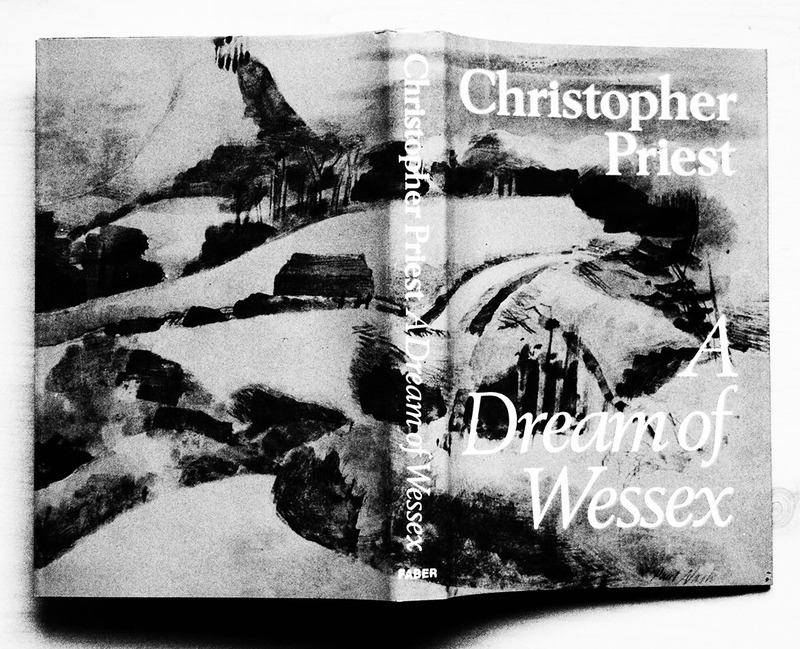 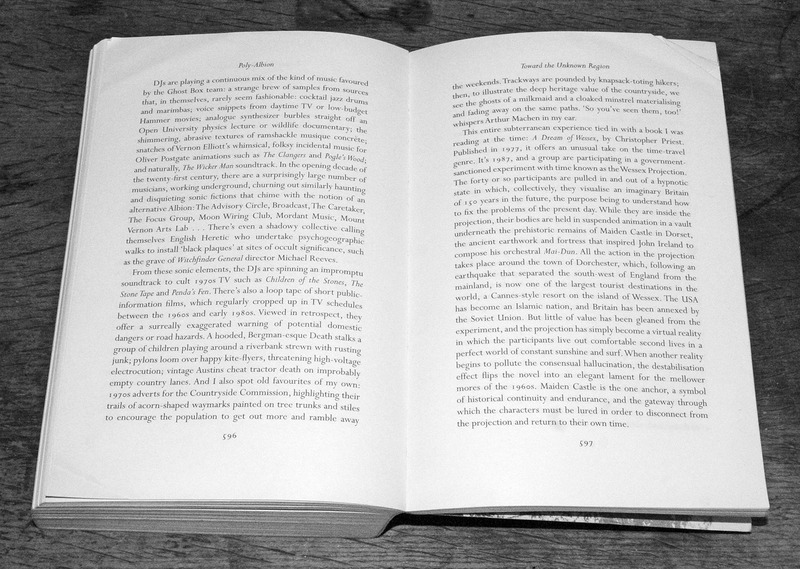 “The cover artwork of the earlier printed editions of A Dream of Wessex further reflect and forebear that Ghost Box/hauntological world and intertwining. 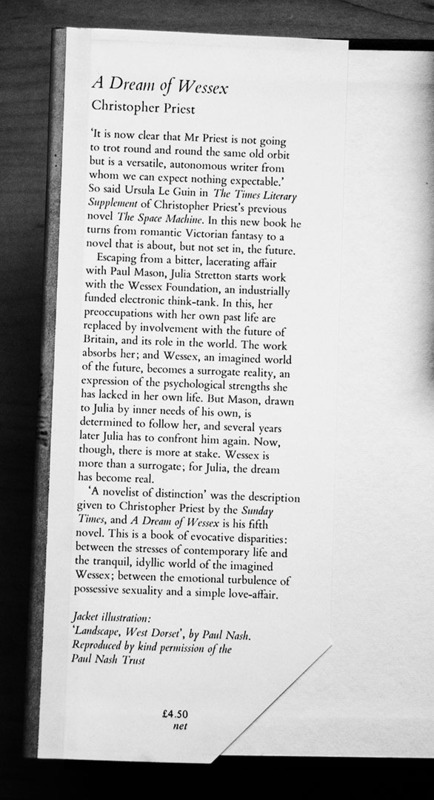 The original hardback cover from 1977 published by Faber & Faber is quite a traditional landscape painting by Paul Nash but knowledge of the plot of the book and its appearance in the “Toward the Unknown Region” section of Electric Eden seem to infer a subtle sense of otherliness to it. 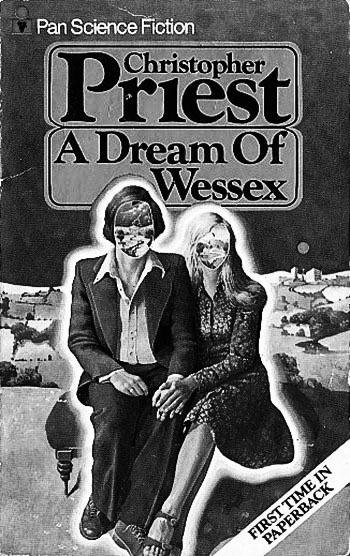 The original softback cover from 1978 released by Pan Books features a depiction of a happy couple ensconced amongst the idyll of a rural landscape but then wanders off to more Sapphire & Steel-esque hauntological territory; they are sitting on an incongruous maroon fabric stool that would be more fitting in a gentrified parlour, their outlines glow and their featureless faces reflect only a further imagined idyll, while far off in the distance behind them a red sun hangs over what appears to be some kind of futuristic, scientific building.